Air transport is a human endeavour where human lives are placed in the custody of the airline which is required to carry the passenger safely and securely to the destination. 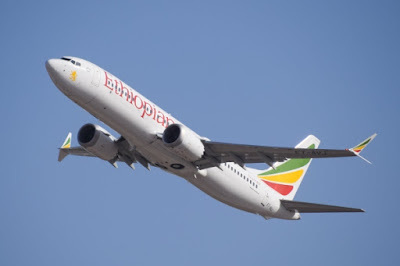 On Sunday 10th March an Ethiopian Airlines Boeing 737 Max 8 aircraft operating flight 302 crashed just after takeoff from Addis Ababa on its way to Kenya. All 157 persons on board were killed as the plane crashed at high speed onto the ground. The captain of the flight had reported “flight control problems” to air traffic control shortly before the aircraft crashed. It is reported that the manufacturer Boeing issued a statement following the crash saying they would recommend the temporary global suspension of the entire 737 Max fleet. As this article was being written, fifty countries had grounded or banned the planes inside their airspace. On 2 Sunday 8 October 2018 Lion Air Flight JT 610 took off from Jakarta at 23:30 GMT heading towards Depati Amir airport in Pangkal Pinang. 13 minutes into the flight, authorities lost contact. The aircraft crashed shortly off Jakarta. The flight was operated by a Boeing Max aircraft – the same type which was involved in the Ethiopian Airlines crash. The aircraft was carrying 178 adult passengers, one child and two babies. In addition to the two pilots, there were also six cabin crew. It is reported that the pilots were desperately engaged in a “futile tug-of-war with the plane's automatic systems” in the minutes before it plunged into the ocean, killing all 189 people on board. According to Lion Air, the pilot and co-pilot had more than 11,000 flight hours between them. Unlike the Lion Air flight which was operated between two points in Indonesia, the Ethiopian Airlines flight was an international one between two countries. Both Ethiopia and Kenya have ratified the Montreal Convention of 1999 which is the Convention for the unification of certain rules pertaining to international carriage by air. Ethiopia ratified the Convention on 24 April 2014 while Kenya ratified it on 7 January 2002. Therefore, the applicable treaty for the adjudication of claims for death of the passengers would come within the purview of the Montreal Convention. Article 17 of the Montreal Convention stipulates that the airline is liable for damage sustained in case of death or bodily injury of a passenger upon condition only that the accident which caused the death or injury took place on board the aircraft or in the course of any of the operations of embarking or disembarking. For damages arising under Article 17 not exceeding 100 000 Special Drawing Rights for each passenger, the airline is not be able to exclude or limit its liability. This means that the airline (i.e. Ethiopian airlines) is liable in limine (at the outset) to pay 100,000 Special Drawing Rights (SDRs) in the case of each passenger. However, the airline is not liable for damages arising under Article 17 to the extent that they exceed for each passenger 100 000 Special Drawing Rights if the airline proves that: such damage was not due to the negligence or other wrongful act or omission of the airline or its servants or agents; or such damage was solely due to the negligence or other wrongful act or omission of a third party. Although the cause of the crash has not been conclusively determined, Ethiopian Airlines may have a valid defence under this provision if the final findings were that there was an inherent defect in the aircraft itself. If, however, it is found that the flight crew were responsible (through negligence) for the crash, (note: it is the airline that has to prove absence of negligence) the plaintiff would be able to claim compensation over and above the 100,000 SDRs limit. Article 28 of the Convention admits of advance payments in the case of aircraft accidents resulting in death or injury of passengers, where the airline is required to, if required by its national law, make advance payments without delay to a natural person or persons who are entitled to claim compensation in order to meet the immediate economic needs of such persons. Such advance payments do not constitute a recognition of liability and may be offset against any amounts subsequently paid as damages by the airline. As to the issue of where an action for compensation can be brought against the airline Article 33 of the Convention provides that an action for damages must be brought, at the option of the plaintiff, in the territory of one of the States Parties, either before the court of the domicile of the airline or of its principal place of business, or where it has a place of business through which the contract has been made or before the court at the place of destination. In respect of damage resulting from the death or injury of a passenger, an action may be brought before one of the courts mentioned above, or in the territory of a State Party in which at the time of the accident the passenger had his or her principal and permanent residence and to or from which the airline operates services for the carriage of passengers by air, either on its own aircraft, or on another airline’s aircraft pursuant to a commercial agreement, and in which that airline conducts its business of carriage of passengers by air from premises leased or owned by the airline itself or by another airline with which it has a commercial agreement. Article 35 is explicit in that the right to damages are extinguished if an action is not brought within a period of two years, reckoned from the date of arrival at the destination, or from the date on which the aircraft ought to have arrived, or from the date on which the carriage stopped. All this is clinical legal jargon to those who lost their loved ones in the crash. Air transport is a human endeavour where human lives are placed in the custody of the airline which is required to carry the passenger safely and securely to the destination. Air transport is not primarily about States. Nor is it about airlines. It is about the young woman – newly married – who texts her husband that she will contact him on landing (which never happened). It is when the ultimate in technology meshes gently with humanity. The author, who is a former Senior Legal Officer of ICAO, is currently Senior Associate, Air Law and Policy at Aviation Strategies International, a consultancy headquartered in Montreal, having branches around the world. He has written this article while on mission in Nassau, The Bahamas.